The majority of U.S. adults support human gene editing to protect babies against disease, according to a new poll. But they wouldn’t support gene edits that make babies smarter or taller, according to the new research by the Associated Press-NORC Center for Public Affairs Research, which polled about a thousand U.S. adults this month to learn about public attitudes toward genetic engineering. 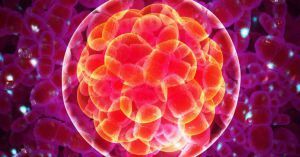 The AP research found that 71 percent of respondents support gene editing to protect a baby from an inherited condition, and 67 percent support reducing the risk of diseases like cancer. But just 12 percent would be okay with tampering with intelligence or athletic ability, and only 10 percent would consider altering physical characteristics like eye color or height. Questions about using technologies like CRISPR to gene edit human embryos gained immediacy last month, when Chinese scientists claimed to have edited the genes of two babies in order to protect them against HIV — a move that prompted an international outcry, but also questions about when the technology will be ready for human testing. “People appear to realize there’s a major question of how we should oversee and monitor use of this technology if and when it becomes available,” Columbia University bioethicist Robert Klitzman told the AP of the new research. “What is safe enough? And who will determine that? The government? Or clinicians who say, ‘Look, we did it in Country X a few times and it seems to be effective. The post Poll: Two Thirds of Americans Support Human Gene Editing to Cure Disease appeared first on Futurism.